Gutters do a fantastic job of collecting and directing water off your roof – that is until they become blocked. Obstructions in your gutters such as leaves, sticks, bird nests, seeds and other debris can cause water to back up in your gutters and onto your roof, potentially causing serious problems. In the winter months, obstructions in the gutter or downspout can cause water or snow stuck in the gutters to freeze, creating an ice dam. Ice dams can cause water pooling on your roof, which can lead to leaks and potential structural damage, sagging or busted gutters, or gutters that pull away from the property structure. In the summer, water can overflow the gutter at the source of a blockage, which can cause soil erosion or seepage along the side of the house or building or into the basement. Water buildup can lead to excess moisture which can be a breeding ground for mold and mildew, moss and lichen growth and insect activity like mosquitoes. Gutter cleaning can be time consuming and dangerous. Gutter cleaning can involve standing on ladders, scaffolding or leaning over the side of your house while sitting on your roof and requires careful thought and movements to maintain your balance to avoid fall and injury. Save yourself time and worry! Our cleaning experts have the training and equipment to remove obstructions from your gutters and unclog downspouts on your residential or commercial property. We’ll clean out your gutters and clean up the mess – all you have to do give us a call. 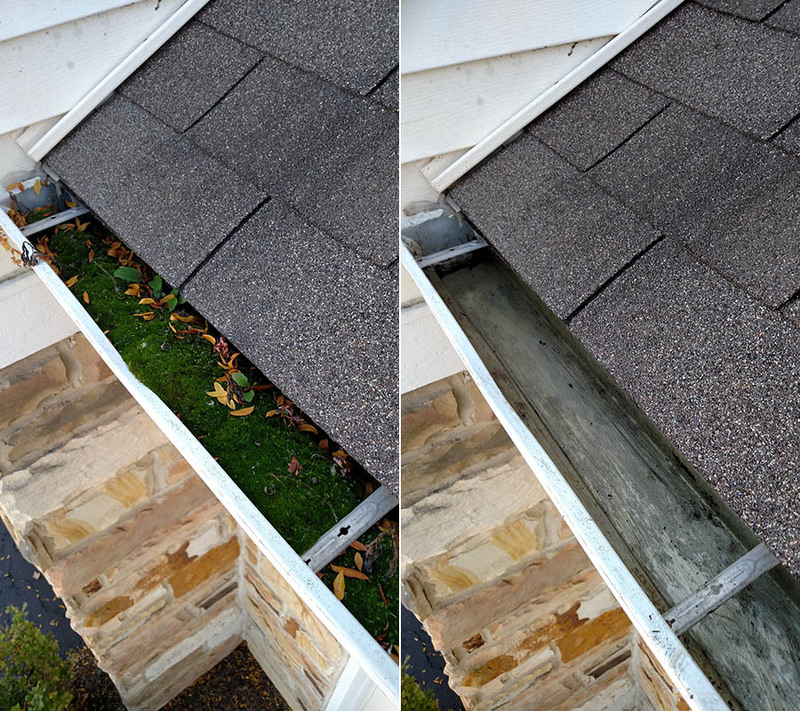 We recommend a bi-annual gutter cleaning. The first cleaning should be in the spring after the trees have bloomed and have dropped their seeds. The second cleaning should be in late fall after the trees have dropped most of their leaves. Proper and timely maintenance can prevent costly repairs to your residential or commercial property. We are happy to provide a free estimate over the phone or an “in person” bid for gutter cleaning services. We guarantee 100% satisfaction for services provided. 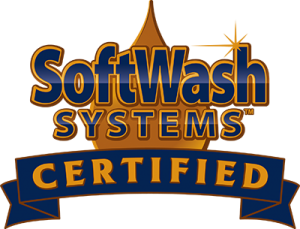 Rest assured that we’ll take great care and time to get the job done right. Call the professionals at Clearchoice Services today!